Struggling with bladder control? Chiropractic may help! Struggling with bladder control? Chiropractic may help. It’s an uncomfortable and potentially embarrassing condition with which to live. About 11 per cent of the population – tens of millions of people across North America – contend with it. Seventy to 80 per cent of those people are women. And the condition worsens as you age. 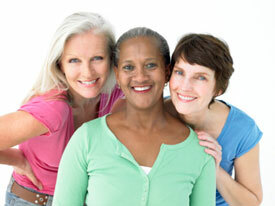 We are talking about adult incontinence – the partial or full loss of bladder control. Chiropractic has been shown to yield positive results. We recently had one such case in our Kanata clinic with a female patient in her mid-50s who was undergoing care for neck and low back pain. During a routine follow-up examination after one year of care, she said offhand that, in addition to her other improvements, she “pees her pants” less often. This patient hadn’t reported that she suffered from incontinence during her initial exam. At the time, she didn’t consider it relevant or related to the other health issues that had brought her to us. But after one year of chiropractic care, she had noted, quite happily, an improvement. Her experience lines up with some small-scale research that has been done on the subject. A study published in 2012 looked at 21 case files of chiropractic patients 13 to 90 years of age, all of whom suffered from some degree of urinary incontinence. Thirteen of these patients had clear dysfunction and pain in the lumbosacral region. Chiropractic care contributed to 10 patients no longer having any incontinence, seven saw noticeable improvement, and four saw only slight improvement. Subsequent follow-ups, over periods ranging from two to six years, showed that these improvements remained stable. In this case, Chiropractic yielded substantial benefits for 80 per cent of patients. Consider this the next time you are in the store aisle considering your options for adult incontinence products. There may very well be a musculoskeletal issue contributing to your bladder control problem that Chiropractic can address. Another patient recently shared a story from his youth. He performed a classic heels-in-the air banana peel slip on melting spring ice. He came down hard with his clenched fist under the small of his back. The impact caused obvious issues in his lumbosacral region. He didn’t have full range of motion to even walk comfortably, it was painful to sit down, and he suffered from bladder leakage. He visited the ER, where he was advised to just rest and take pain medication for the inflammation. He didn’t seek any Chiropractic care. But in the days that followed, as he would move a certain way or bend a certain way, he would feel and hear an audible “pop” in his pelvic area. Each time this happened, some degree of mobility returned, the pain lessened, and his bladder control improved. It’s just another example that your body is a complex interconnected machine. What affects one part of it can have a ripple effect that can affect other parts, too. By the same token, treating one condition in one area can help address the root cause of another condition that may not appear, on the surface, to be related.